A.M. Nomikos operates a commercial, corporate and ship management service for ship owning entities. The Company employs about 1,000 personnel worldwide, on land and sea based operations. The Head Office and central management is located in Athens with commercial activities situated in London. A.M. Nomikos was established in Greece in 1958 by Anastasios Nomikos and his wife Angele Nomikos. 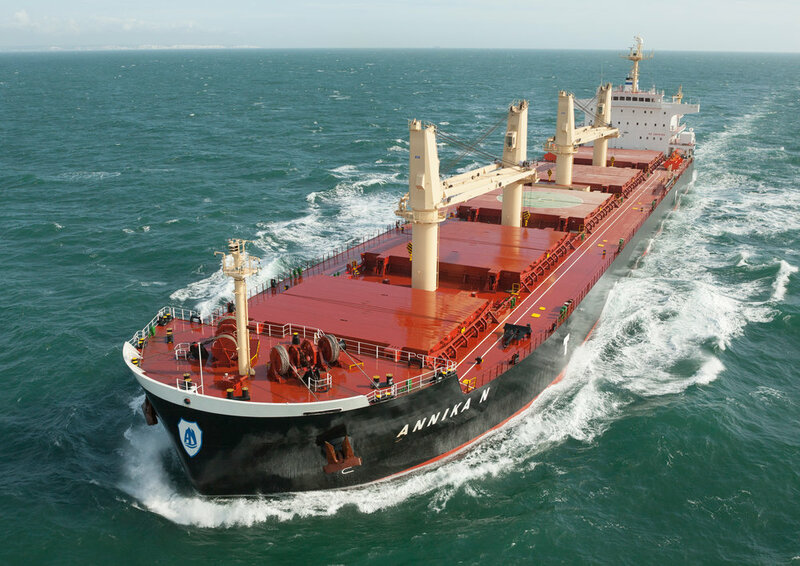 The company was originally involved in coastal shipping and over the past 6 decades has grown into all main types of Dry Bulk vessels, with a principal focus on the Geared segment. Most recently the company has expanded capabilities in the management of Container ships. The company’s UK office was founded in 1983 and has developed into an entity that supports Sale and Purchase and traditional commercial services as well as offering innovative freight solutions. A Supramax pool, AMN Aquarius Inc, was established in 2015. Ship management services include technical management, crew management, HSEQ management services (Health, Safety, Environment & Security services under ISM & ISPS), vessel OPEx accounting and procurement services. Commercial management includes the Sale and Purchase of vessels and the use of Period time-charter, FFAs and Freight Options to achieve optimal yield management. The Aquarius Pool aims to provide participants with a method to consolidate and align their commercial interests in the Supramax Dry Bulk sector. Corporate services include: company incorporation, administration and maintenance of records, bank account establishment, drafting corporate authorities & resolutions, share issues and KYC compliance requirements. The group has pursued a policy of promoting long term relationships with counterparties with an aim to develop an excellent reputation in the chartering market. This has enabled it to grow and develop strong, open and respectful relationships. A.M. Nomikos prides itself on its ability to achieve high operational standards, with the priority set on safety and environmental protection.